Whilst being a sponsor of Daventry RFC, Daventry Used Car Centre have taken the opportunity to invest in the rugby clubs 20 / 20 scheme. This scheme provides 20 local businesses the opportunity to support and grow grass roots rugby at Daventry RFC, from the clubs u6's right up to their u18's colts. 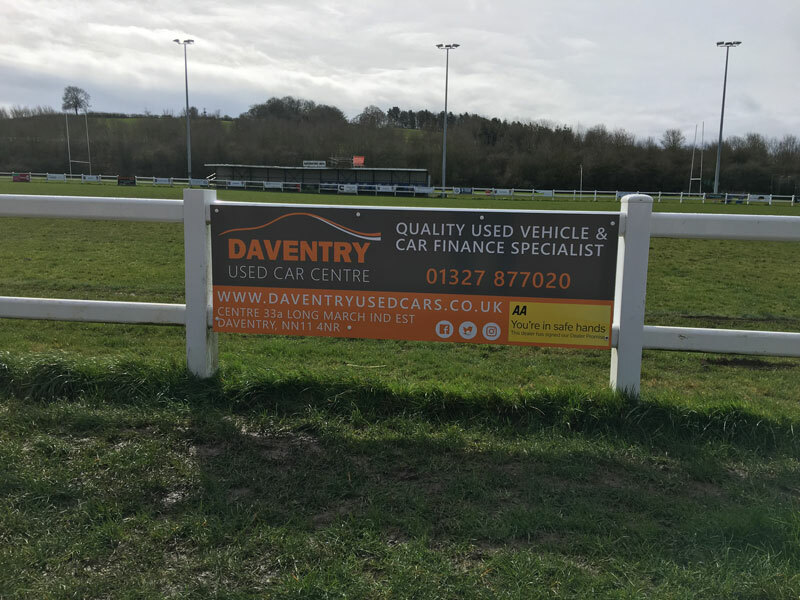 A three-year commitment from companies such as Daventry Used Car Centre will allow Daventry RFC to focus on growing their club within the local community and help support the clubs growth plans in the youth section. Paul Russell who is head coach at Daventry RFC said: " We want to be able to deliver taster sessions in each school within the Daventry area and throughout villages locally. We are investing in our coaches all of whom are RFU qualified and first aid trained. We are also investing in new playing shirts and new training equipment to help ensure our players develop in a safe learning environment, investing now helps for future success." My thanks to Paul, A very helpful sales team went out of their way too see that all was in order before I took my new car out on the road. trade with confidence that you will be well looked after.